Our product range includes a wide range of cd/dvd replication. 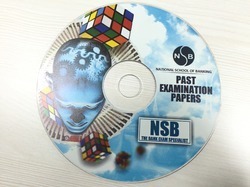 Our CD/DVD Replication, also called Pressed/Stamped. The manufacturing is different from record-able CD-R/DVD-R burnings which is one of the very important aspect. In CD/DVD replication all the data is put onto the disc in "Stamping/Plating" step. The disc shape is then created by injection molding. Once the CD or DVD is molded, cut and trimmed. Our Pressed CDs will be Silk-screened or Offset Printed. Then inserted into the packaging you selected. Note: Pressed CD and DVDs are for large Quantities. Looking for CD and DVD Replication Services ?